“So be careful how you live. Don’t live like fools, but like those who are wise. 16Make the most of every opportunity in these evil days. 17Don’t act thoughtlessly, but understand what the Lord wants you to do” Ephesians 5:15-17 (NLT). You only get one shot at this home-building thing. Only one. And time is not on your side. Have you ever had that sickening feeling that the clock has started, the race is on… and you don’t even have your shoes on yet? As a pastor, one dream I’ve had on more than a few occasions is that I wake up, forgetting what day is it, and then realizing to my horror that it’s Sunday and I’ve completely forgotten to prepare any notes or thoughts for the service that morning… I feel completely unprepared. That’s exactly how many young parents feel—waking up one day with the responsibility of parenthood, feeling utterly unprepared and panic-stricken, beginning this parenting journey. Think about it… From the moment you tenderly unwrap the blanket around your first baby after the trip home from the hospital, the nagging sense in the pit of your stomach hits you like a ton of bricks. The hourglass has been upended. You have one chance at this. That’s why the apostle Paul instructed the church in Ephesus to give careful attention to how they lived. In essence, he was saying, “Don’t be a fool! You better wise up! Now is the time to take advantage of the present, because once it’s gone—it’s gone! You can’t get it back! Can you sense the urgency in Paul’s admonition? I would answer by saying a resounding “YES!” for little is much when God is invited into the mix! If you determine in your heart today to transform your home into a rock solid Christ-centered home… it will make all the difference in the world! God is the redeemer of time and opportunities wasted! Just give Him your very best TODAY! Don’t worry about past mistakes or missed opportunities. Be the very best steward of your present and future! Don’t underestimate the power of Almighty God in the transformation process! It can happen… and will happen… if you will only dedicate yourself as a parent, and if you will dedicate your children (or grandchildren), and your home to serving God’s purposes from this point on! 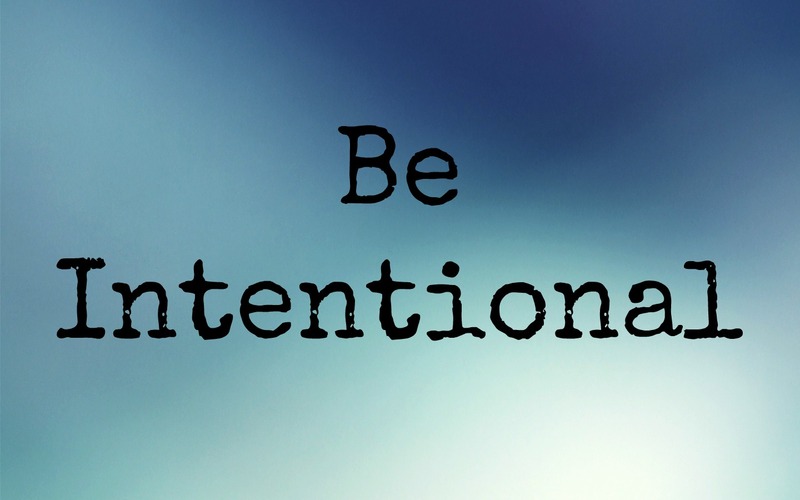 Be intentional in growing your faith at home!